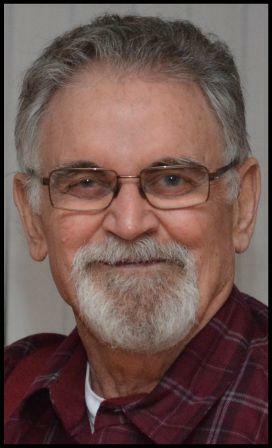 Gordon Zerr of Barriere, British Columbia passed away peacefully, surrounded by his family, at Royal Inland Hospital in Kamloops, BC on March 1st, 2017. Gordie was born on his family’s farm in Mankota, Saskatchewan on May 26, 1936. His family moved to Moose Jaw, SK when Gordie was eight years old and later moved to Richlea, SK in 1953. Gordie joined the Royal Canadian Navy in 1954 and served for five years, travelling the world from the Caribbean to Hawaii, to the Far East and Japan. He met his future wife Kay while working at McDonald Appliances in Vancouver, BC in 1960. Gordie and Kay raised two children, Carleen and Terrill, and eventually settled in Barriere in 1981. Gordie was an active member of the community as a business owner, father, grandfather, great grandfather, volunteer and all-round handy man. He and Kay started Zerr’s Major Appliances that serviced the North Thompson Valley for over 33 years. Gordie was a long-time supporter of the Conservative Party, and enjoyed participating in the campaigns. Gordie always loved spending time woodworking, tinkering in his shop, camping, and generously helping members of the community to fix whatever needed to be fixed. He spent countless hours at the Barriere Curling Rink, Fall Fair, and the Rainer farm in Darfield, offering his time, expertise and good company. He coached girls’ softball for many years, and later could be found supporting his grandchildren at their sporting and school activities. The cabin at Adams Lake was a very special place to Gordie over the years; as he was always building, renovating and making it feel like a second home for his family and friends. Gordie and Kay retired to the lake in 2002 and moved back to Barriere in 2012 to be closer to their family. A few months after Kay’s passing in May 2016, Gordie decided to move to a smaller home, and was living with Carleen and Ward before his passing. Together they celebrated Gordie’s 80th birthday by taking a cruise to Alaska; a trip that Gordie had always wanted to experience. Gordie was diagnosed with brain cancer in December 2016. He will always be remembered as a generous, caring and thoughtful man by anyone that had the pleasure of knowing him. Although his time was cut short, he was happiest just being with his family. Gordie is survived by his daughter Carleen (Ward) Stamer of Barriere, BC, granddaughter Brittany (Dave), great granddaughter Madilyn of Kamloops, BC, granddaughter Nicole (Travis) of Kamloops, son Terrill (Beth) Zerr, granddaughters Chiara and Danika of Barriere, BC, and sister Freda (Paul) Fauchon of Saskatoon, SK. Gordie was predeceased by his wife Kay (May 2016), brothers Edmund and Johnny, and parents Nicholas and Katherine Zerr. Service to remember Gordon Zerr will take place on Saturday March 11, 2017 at 12:00 noon. In the Lions Hall, 350 Borthwick, Barriere, BC. Condolences may be sent to the family at Drakecremation.com. Although I only knew him through his business I offer my condolences. Always cheerful and loved his stories. I am so sorry on the loss of your Dad. I have known Gordie for a long time and will really miss him and his visits to our office. Whether it was for business or just to stop in and say hi we always had some great conversations. He was a wonderful man with a great sense of humour, he will be missed. My most sincere condolences to Carleen, Terrill and respective families. I was in shock to learn of Gordie’s passing. I know you will miss him terribly but you can be at peace knowing that he is with the love of his life, Kay. God bless you all and strengthen you at this very sad time.